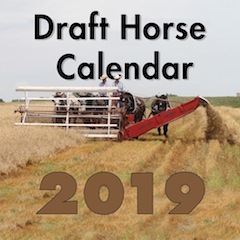 It has become difficult to find farriers to work on draft horses, particularly drafts that are not good with their feet. In my case I bought mature percherons that had never been taught to pick up their feet. I am too old to be taking on the task of getting the horses to stand with a foot up so I have built a stock to facilitate trimming and shoeing. Not sure how the picture will turn out as I was unable to adjust the size in the cropping feature. Looks cool. I'd put rubber hoses over the chains! Looks like a mighty fine shoeing stock to me. That's one of the things that really should be taught to all horses - to pick up their feet without a struggle. But it is possible with patience and love- I taught a horse I bought two years ago to pick up his feet even though he was 12 at the age of purchase and had always been shod in a shoeing stock. It took me almost half a year in very small steps and now he lifts his foot just on command. Looks like alot of thought went into building that stock's. Should work out fine at times I have wished that I had one. those Belgium mules were the worst but I always got them trimmed before I quit working with them. Just used some old horse trader tricks that I learned, I have taught my Grand kids those so they are passed on to the younger generation if they want to use them. Wow, a lot of thought went into those. Nice job of fabricating.